There are hundreds of ancient and beautiful Cotswold villages dotted and nestling throughout this most unique and beautiful area of England. Each village has flowered out of the natural limestone over several hundreds of years each with individual character, romance and magic. The visitor is guaranteed to fall deeply in love with his or her favourites. Enjoy the experience! Paxford village is located 2.5 miles east of Chipping Campden in the Gloucestershire Cotswolds and 10 miles from Broadway. 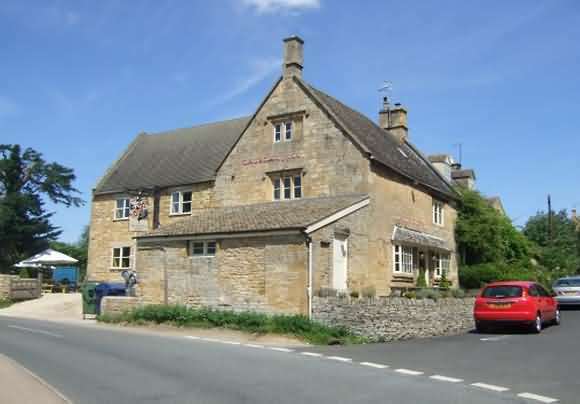 Paxford is a delightful quiet village centrally positioned for easy access to well known Cotswold attractions and the wonderful old towns and villages of Chipping Campden, Moreton in Marsh, Bourton-on-the-Water, Blockley, The Slaughters, Broadway, and many more. With an abundance of public footpaths providing beautiful walks, Paxford is surrounded by beautiful Cotswold countryside of rolling hills and an ideal place for those seeking a peacefull and tranquil environment. 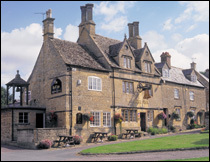 The Churchill Arms Inn offers accommodation and food and on certain evenings during the summer you will find the game of Aunt Sally played. 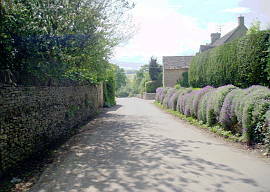 Ebrington village is located 2 miles east of Chipping Campden in the Gloucestershire Cotswolds. A beautifull small village overlooking the valley through which the little Knee Brook flows on its way to join the River Stour above the town of Shipston-on-Stour. The locals still call the village 'Yubberton' and has several attractive thatched stone cottages at the side of its little sunken roads. The Ebrington Arms Inn is a focal point of the village offering food and accommodation. owl on a roof and perhaps buzzards, pheasants and deer. 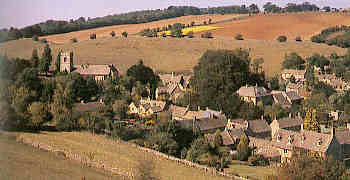 For comprehensive walking guide see - www.escapetothecotswolds.org.uk/userfiles/file/walks/jubilee/ebrington-and-foxcote.pdf. Located 3 miles North of Cirencester. This small pleasant village is situated in a quiet wooded valley set a little way back from a brook. There is little indication of its importance during the iron age as being a massive, well fortified capital of the Dobunni, the Belgic tibe that once flourished here. Located 1.5 miles NW of Moreton-in-Marsh. A small estate-village at the gates of Batsford Arboretum Park, a large 19th-century neo-Tudor mansion built 1888-1892. The magnificent house was designed by Sir Earnest George and supervised by the young architect Guy Dawber. The house is best viewed from the Batsford Arboretum, 50 acres of wonderful woodland and scenic walks. 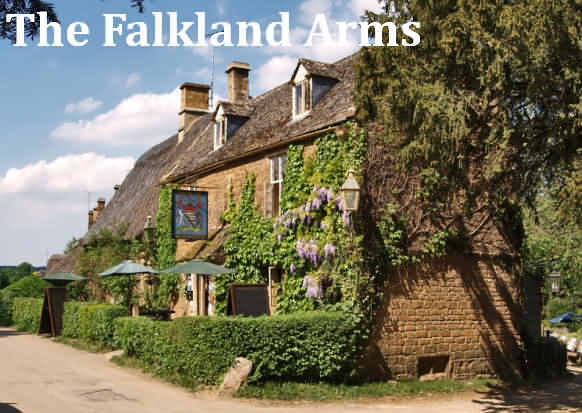 Connections with the Mitford family, the Lords Redesdale, the forebears of the famous Mitford sisters who spent their early years here. Located 4 miles East of Stroud. A large village full of beautifully proportioned yet higgledy-piggledy cottages and houses. Situated in the fold of the hills at the head of the Toadsmoor Valley, and well north of the Golden Valley. The clothiers of the nearby valleys brought their wealth with them and spent it on fine houses like Over Court with its charming gazebo overlooking the churchyard. The church has a fine spire and a unique 13th-century 'Poor Souls' light. This light is England's only outdoor example and was used to hold candles for the saying of masses for those who could not afford candles of their own. Located 2 miles from Blenheim Palace and Woodstock. The village is named after the river Evenlode which was originally the Bladene. Its history goes back to a Roman settlement in the third century and it is recorded in the Doomsday Book in 1086 under the name of Blade. The early history of Bladon is chiefly concerned with the quarrying of limestone stone which was used in many of the great buildings of Oxford. The village is also noted for its contribution to the local trade of glove making : for centuries man and women have cut and sewn gloves, by hand, in their houses for the famous Woodstock glove industry. 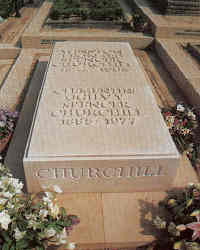 Bladon is now famous for the grave of Sir Winston Churchill in the graveyard of the Parish Church of St. Martin. Located 5.5 miles East of Chipping Norton. This is an idyllic model village established with extensive parkland overlooking the Worton Valley, which was in part the work of the landscape gardener, John Loudon, the manager of the estate from 1809 to 1811. 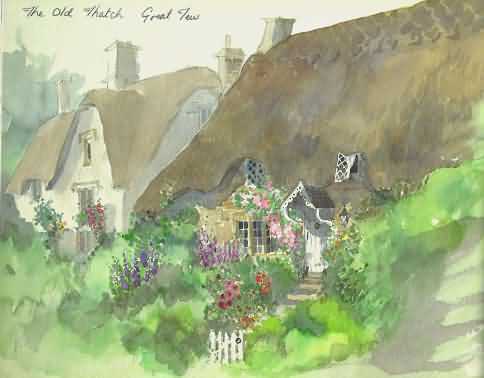 There are many evergreen trees and picturesque thatched cottages, a small inn and stocks on the village green. Nothing remains of the fine manor house lived in by Lucius Cary, Viscount Falkland, who was killed in the Civil War at the battle of Newbury in 1643. It was replaced by an odd 19th-century mansion built by the descendants of Mattew Boulton, partner of James Watt (inventor of the steam engine) in Birmingham's famous Soho Foundry. This village where Viscount Falkland, the Secretary of State to Charles I, played host to scholars such as Ben Johnson was on the verge of dereliction has now been saved by grants which recognise its importance as an area of outstanding interest. The fourteenth century church of St Michael has a battlemented tower and a cool spacious interior of soaring arches. 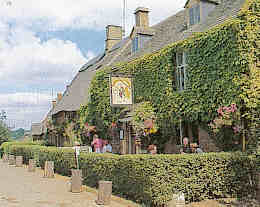 The village pub, The Falkland Arms, is named after the seventeenth century lord of the manor. Nearby lie the famous Rollright Stones erected 3500 years or more ago. This has a ring of standing stones known as The King's Men, with a single stone, the King's Stone a short distance away. Located in the Village of Great Tew - 6 miles from Chipping Norton and close to celebrity Soho Farm House. Located 9 miles South of Burford. Lechlade is a small market town on the southern borders of the Cotswolds where the rivers Coln and Leach join the Thames, and Inglesham, just above Lechlade, marks the head of its navigation. The town busy with the comings and goings of pleasure boats. There are two fine bridges, the 18th century Ha'penny Bridge with its little square toll house overlooking the boatyard at the southern end the town, and St John's Bridge, dating from as early as 1228, in meadows well to the south-east. In summer many boats moor on the river banks between the two bridges and there is a busy Riverside Parking and Leisure Area just upstream from Ha'Penny Bridge, and reached from the A361to its south. Tourists can hire boats from the Riverside Boatyard. There are several places to eat including pubs. Located 2.5 miles west of Witney and 10 miles west of Woodstock. 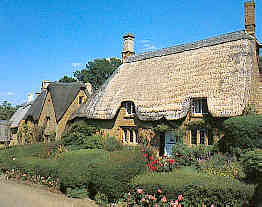 A beautiful stone and thatch village well worth visiting set in the Windrush valley. There is a fine cruciform 15th-century church (St. Kenelm's) and derelect manor house (Minster Lovell Hall) of the Lovell family in a wonderful setting in the water meadows beside the river Windrush. 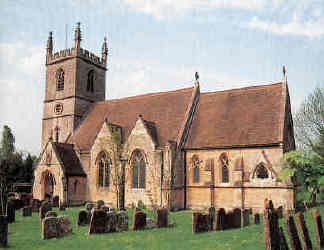 The church is one of seven dedicated to Saint Kenelm - England's first saint. Read about Strange Things at Minster Lovell Hall - The Three Dreadful Dooms. A delightful elongated village spread out along the floor of the deep Windrush Valley. The church has a handsome Perpendicular tower with pinnacles and gargoyles and the interior has a beautiful carved early 15th-century stone pulpit and font. Stay awhile at the little bridge over the River Windrush near the Old Rectory, before walking down the village to the welcoming Blackhorse Inn, passing on the way a charming 17th-century dovecote overlooking the stream. You can walk north-west from here up the Windrush Valley to Guiting Power, or south-east to Harford Bridge and then down the valley to Bourton-on-the-Water. 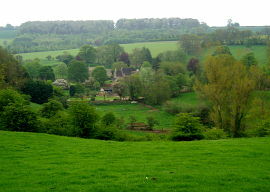 Naunton can be found north of the Cotswold town of Northleach in the upper Windrush Valley. This region is very much sheep country. The medieval monastic landlords of Llanthony and St Oswald's Priories in Gloucester both specialised in sheep rearing. The valley at Naunton is filled with flowers which only occur on unimproved limestone pasture. Cowslips in spring, yellow rattle and orchids in summer. 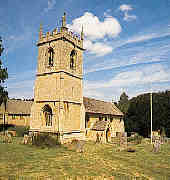 Naunton has a famous dovecote erected in 1660. A pleasant village set in the Churn Valley with hospitable Inn, Bathurst Arms in a streamside garden and looking across the busy A435 to the little saddleback tower of the Norman church of All Saints which was beautifully restored and refurnished in the early 20th-century. The churchyard has many fine tombstones and the grass is kept tidy by a flock of local sheep. Located 1 mile NE of Broadway. 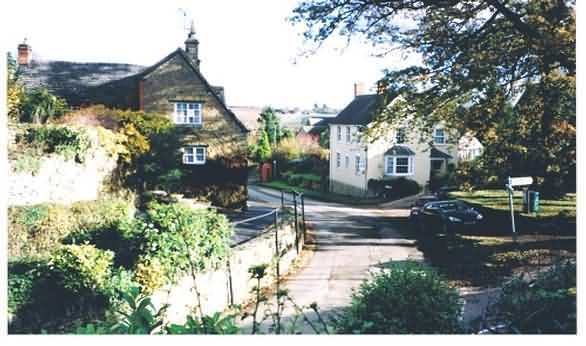 The village of Willersey straddles the Broadway to Stratford-upon-Avon minor road B4632 and will hold the attention of all who love old houses. Its manor house was home to the Roper family, William Roper becoming son-in-law to Sir Thomas More. The church of St. Peter is famous for its peal of six bells, cast in 1712 by Abraham Rudall and an incription on the tenor bell reads 'ring for peace merily' to celebrate the signing of the Peace of Utrecht. 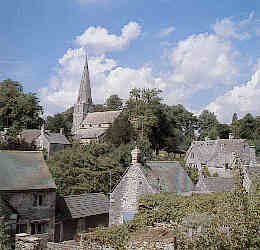 Willersey is on the walk known as the Donnington Way a short section of which leads to Saintbury, a tiny hillside village with church of great interest and several wonderful stone cottages. Link to - Willersey Primary School. Turkdean is a small village with an ancient history. The true extent of this history was demonstrated by the archaeological work undertaken by 'Time Team' for their Bank Holiday weekend dig in August 1997. This represented the first time that an archaeological dig was broadcast live and against the clock. This small village is pleasantly sited on a hillside, with the hamlet of lower dean in the valley below, the two being joined both by a road leading down through a magnificent avenue of beech trees and also by a shorter, but steep little path. The Norman church, situated in a large church yard bordered by chestnut trees, has some interesting items of early sculpture built into the lower stages of its tower.There is also a blocked-up Norman doorway in the south wall of the chancel. The perpendicular north doorway is sheltered by a porch of the same period, and opens into an interior which contains a Norman pulpit. The enchanting Hamlet of Ablington is 1 mile northwest of Bibury and located on the River Coln. It has a fine manor house built in the 16th century by a wealthy Cirencester wool merchant, Jon Coxwell. 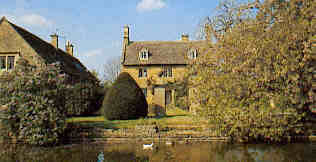 Ablington was once the home of J. Arthur Gibbs; the reknowned author of 'A Cotswold Village', a classic book about his observations and persuit of Cotswold country life in the closing years of the 19th century. Nearby is Ablington House, a beautiful 17th century building complete with gateposts surmounted by lions which once graced the Houses of Parliament.